This post is sponsored by Philips. We’re just a few days away from summer break and the kids and I cannot wait. We love venturing out to the farmer’s market on Saturdays, picking up fresh, seasonal produce, walking around and just enjoying the sunshine. As a mother, it’s really important for me to put healthy, fresh foods on the dinner table. 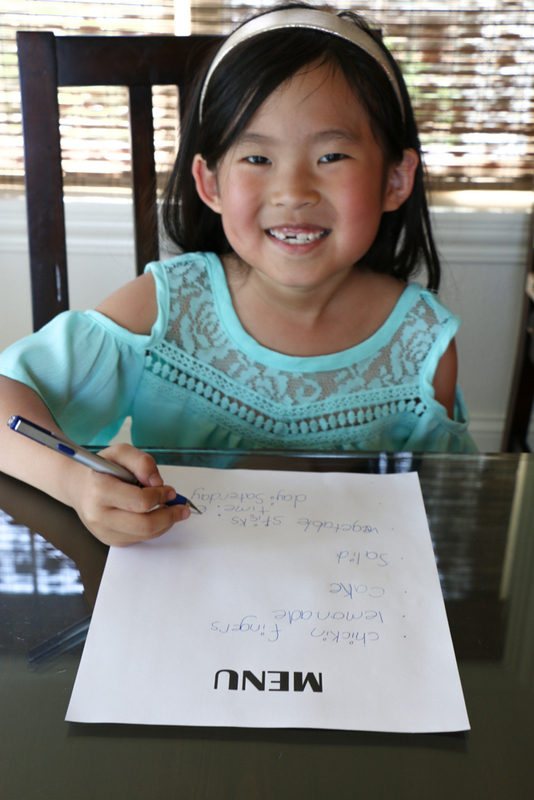 I truly believe children develop their eating habits at a young age so I want to expose my kids to different cuisines, all kinds of fruits and vegetables and new foods as much as possible. Our weeknights are super busy so anytime I can have some help in getting a healthy dinner on the table faster, I am on board. The other night, the girls wanted to throw a dinner party for me and my husband. They came up with a fabulous menu and helped with a lot of the work. They wanted to make chicken fingers, and it was my job to make this in the healthiest way possible without sacrificing taste. 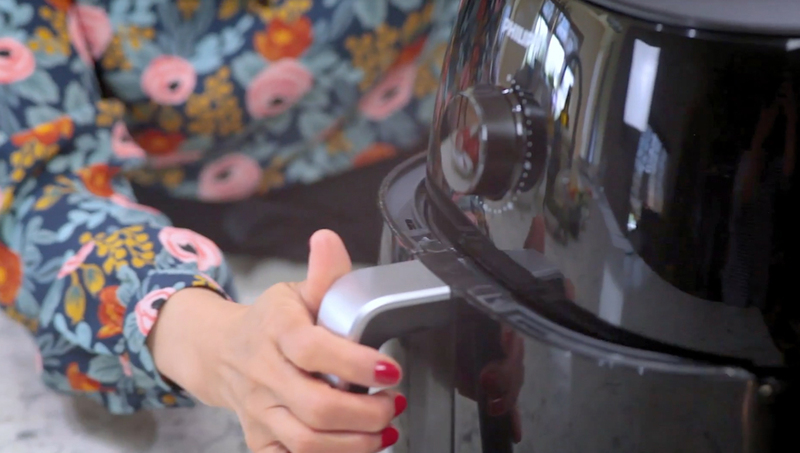 Easily enough, we let the Philips Airfryer XXL do all of the work. We’ve been cooking with our Philips Airfryer XXL and we love it. I can’t believe I can make crispy, delicious air fried chicken for my family using no oil at all! This is a healthy alternative to oil-frying, because it’s lower in fat, but it still gives us that crispy taste that we look for in fried food. It’s also big and spacious so I can make enough for my entire family and cleanup is so easy! Healthier: The Philips Airfryer XXL is the healthiest way to fry, removing up to 90% of the fat*! By combining a 1725W powerful heater and motor with their patented Twin TurboStar technology, the hot air swirls fast, like a tornado – throughout the entire cooking basket. While the food is cooking excess fat from the food is removed and captured in the fat reducer at the bottom. Simply pour it out once cooking is complete. Double the Size: The Philips Airfryer XXL is their biggest Airfryer. The XXL family size feeds up to a family of 6 and fits a whole 3lb chicken! Convenient: The easy clean basket saves time and reduces additional cleanup. Plus, it’s 4 times faster than an oven* and there’s no preheat necessary, which I love! You can literally have a delicious meal on the table for your family in under 15 minutes! 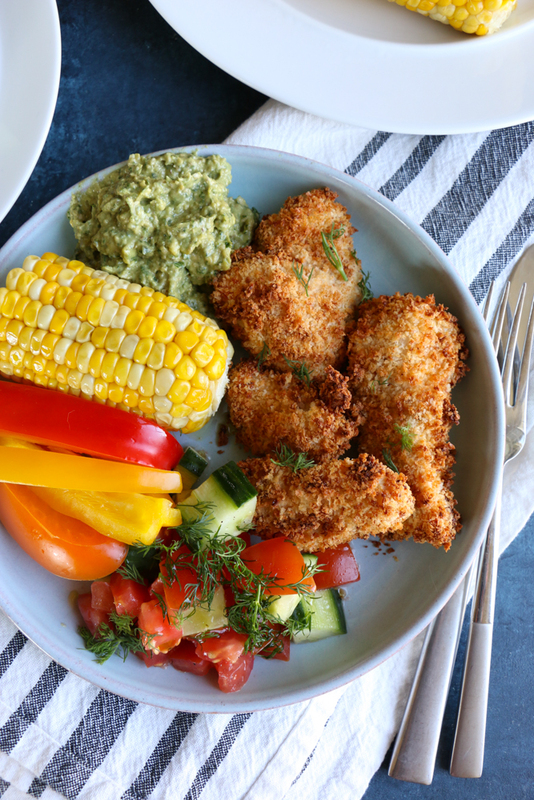 We’ve been experimenting with all sorts of veggie sticks in the airfryer and having so much fun! And my family loves it! I love to serve my veggie sticks with my green goddess avocado sauce and we’re trying avocado and zucchini fries next! We can’t wait! I’m thrilled to be partnering with Philips to giveaway ONE Philips Airfryer XXL! You’re going to love it! Enter the giveaway here on Instagram! For an EXTRA entry, leave a comment below telling me why you want to win and what you want to make in your Philips Airfryer XXL. Details: US only. Giveaway ends on Friday, June 15, at 12 midnight EST. The winner will be announced on Saturday, June 16 on Instagram. Good luck! Using a medium sized bowl, mix together the eggs, season with salt and pepper and mix in the smoked paprika. Place the panko into a medium sized bowl as well. Taking a chicken strip, one at a time, place chicken into egg mixture and then into the panko mixture until coated nicely on both sides. Repeat with all remaining chicken. Place chicken into the Philips Airfryer XXL (I fit about 6 strips of chicken at one time). Close the drawer. Set the Philips Airfryer XXL to 400 degrees and twist the timer to 12 minutes. Repeat until all of the chicken is cooked. 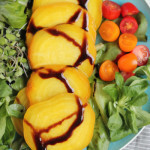 Serve with a light salad and enjoy! I would love to win this because me and my husband love fried food and this would make it so much healthier and the first thing i would make is fried chicken. You know what they say “happy wife, happy life.” My wife and I love to eat and she would be ecstatic to have the Philips Airfyer XXL added to our kitchen to make some killer fried chicken. I want to win because an Ajr fryer has been on my wish list for so long now, and this would be the perfect opportunity to finally get one. I’d like to make some mozzarella sticks and that yummy fried chicken recipe you have using the air fryer. I would love to win this because I just started the keto diet and it would help me prepare delicious meals fast and stay on track at the same time. I would love this because I would love a healthier option then frying in oil. I would love to win the Airfryer because I LOVE fish and chips and would love to make a healthier version! I am obsessed with french fries and the air fryer can feed my obsession! Would love to win this air fryer to lower the calorie intake while enjoying fried food without guilt ☺️😁 thank you for doing this giveaway! I’d love to win to give air frying a try! Living with such a small kitchen gives me a fear of frying and getting oil all over and the lingering smell, but an air fryer would open up all new possibilities! I would love to win because I’ve tried air fryers before and they are amazing! It would make my life so much easier! I’d make French and sweet potatoes fries and of course chicken wings! So excited to enter. I would absolutely love to win this! The air fryer has been on my wishlist for long. This is the best way to have the taste of fried food without frying at all, I love it!! Can’t begin to eat healthy and feel healthy! I want to win it to fry chicken and then dip it in a Korean sauce with soy sauce, sugar, garlic and pepper flakes. I want to win so that I can make some fried chicken at home! I would love this air fryer to make healthier options that my kids would love 💟 this recipe for fried chicken would be the first on my list to make!!! I’d love to win the air fryer to try to make my favorite fried foods a little healthier. I’d love to try to make fried pickles in the air fryer! I’ve been hearing so many great things about air fryers and would love to get my hands on one! What a fun, and healthy way to eat your favorite foods like fried chicken and French fries! I’d love to win one and cook with my kids; 4 and 9. I would love to win this air fryer to make fries! It’s one of my favorite foods and using the air fryer, I can make it in a healthier way 🙂 I would also love to win this fryer for my mom. She loves to cook and has always been into trying to make food in healthier ways. I would love to win this for her so that she can have more of a creative outlet with food and because she deserves it! I want to make chicken wings for my girlfriend. She can’t stop talking about wanting an air fryer! I’d love to try sweet potato fries and would love this option for a healthier way to make chxn nuggedts and other kid faves! I’d love to win the air fryer because my husband and I have been sticking to healthy eating and lots of exercise for over a year. We get so excited to try healthy recipes together and we love to encourage each other’s fitness goals. 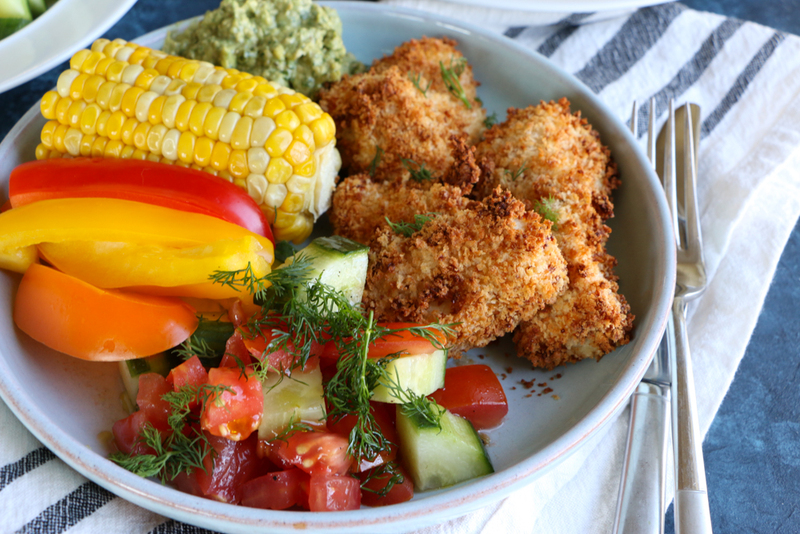 As the summer starts getting hotter, the air fryer will allow us to cook up veggies without needing to turn on our oven! I am in love with fried chicken but not in love with how unhealthy it is. If I won the air fryer , I’d love to try out your recipe on air fried chicken. I would love to win this airfryer because I’m always trying to cook foods with less oil. My toddler loves homemade baked fries, but I try to use less oil. It would be awesome to make crispy fries in the airfryer! If I won this I would make beer battered cod. My husband and I looooove fried food – chicken, fish, shrimp, we love it all! I’d love a healthy alternative to all that fried stuff, I think we would love this! I want this win this fryer one being I’ve always had my eye on one but they’re expensive when you’re a college student. Another reason being I’m starting to eat healthier, and I feel as though this will help my journey!! 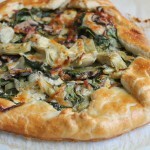 I love blogs hipfoodiemom! You’re such an inspiration. I’ve Been wanting one for a few years!!! I can’t wait to try fried Brussels! I want to win the air fryer because I love Mexican food but sometimes the amount of oil needs to make it makes me feel guilty! So if I win I can make all the taquitos and flautas without feeling so guilty! This would be great for my husband and I to cook heart healthy meal. I sure have been eyeing this new-to-me machine! Thanks for introducing me to it hipfoodiemom. My family loves fry chicken and would love to win too! I love you and your blog!! I would love to win because I am pregnant and have a 6 year old son who doesn’t love his vegetables. So, like you, I want to make good food that feels indulgent without sacrificing flavor. Plus I love to cook and my pregnancy cravings for fried food are through the roof! Thank you for this opportunity! I want to win this for a healthier lifestyle without sacrificing taste! I’d love to experiment with different recipes! I want to win this as my Husband loves eating healthy and I would love to cook him something special in them without having to worry about the excess fat! I would love to win this air fryer to cook fish and chips for my husband, his favorite fried food. I need this! Trying to cook some healthier friend options. I would cook some “fried” mozerella sticks. Me and my husband start to workout at the gym and when we can’t eat a lot of fried things. So this will let is eat what we want with no oil at all!! I would love his because as a student it can be super difficult to prepare healthy food that’s quick quick and easy! Oh my gosh. Thank you for this giveaway! I would LOVE to win this to help our family be healthier while enjoying the indulgent foods we love. Thank you for the chance! I would love to win the Air Fryer so that my family can enjoy all the fried goodness without the bad. I would love to try some zucchini, portabella mushrooms sticks and cauliflower in the Air Fryer and any other veggies we could get from our farmer’s market to try out. I wonder if you could make kale chips?? I love all your stories!! I would absolutely love to win this! We’re trying to live a healthier lifestyle and not u I would absolutely love to win this! We’re trying to live a healthier lifestyle and this would be such a great addition to our home ! I have decided to join Weight Watchers and start turning my health around. I would love to win this Airfryer to help kick off my new adventure. I would love to try making the healthier version of fried foods. Would love to win as I’m expecting my 3rd child soon and would love to continue to cook healthy for my family in a convenient and timely manner! I would love to experiment with tempura batter and fresh veggies. I have found memories of my mom doing this with fresh green beans from the garden along with mushrooms and onions. Thx! Hi! I want to win so I can add a healthier version of some of my favorite foods to my family’s meals. I would like to win because I’m a mother of two busy boys, I think this would be a quick way to introduce them to healthier options, trying to eliminate fast food. I would love the healthier option of making fried chicken or fish in this airfryer. My husband & I are making goals to be healthier and this would help! I would love to win this because I have recently been working out 🏋️ and eating better. 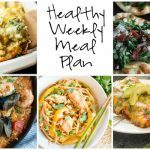 This would satisfy my craving for fried food and make meal planning for a family of 6 easier and healthier! I’ve been so curious about this product for such a long time! I love experimenting with different foods, especially when it comes to finding creative ways to make healthy food enjoyable for my family. I’d love to win one of these to further that without having to sacrifice time or flavor! The first thing I’d try to make would definitely be coconut shrimp! Thank you for reviewing this product Alice! I need this air fryer!! I’m trying to be healthier and what I miss the most is FRIED CHICKEN! I can never eat it now because I try to avoid the oil at all costs. I’m a college student so I would never be able to afford this on my own because I pay my own bills BUT having one would really make such a difference in my life and allow me to continue my weight loss journey. I would love to win because I don’t own one and have given up fried foods for a healthier lifestyle…at least at home! This would be perfect! I would love to win this for my Mom because she loves trying new things when cooking to spice things up. With my Dad being diabetic & having high blood pressure/cholesterol, he has to really watch what he eats which isn’t fun sometimes when people in front of your are munching on some really good food while you’re there with sometimes boring “healthy” food so this would be something that can be all inclusive. I’d love to see my Dad be able to savour for a change. We have one too and I LOVE IT SO MUCH! This has been on my wish list for months! We eat a lot of chicken in our house… and would love to switch up dinners with some fried chicken, without all that oil. I would love to win this to make so many delishious foods but I’d love to make kale in to along with your friend chicken recipe! I love to bake, so, I am looking forward to something Chocolate made in the Air fryer. Finished with a cool mint frosting! I want to win because I’m a poor college student and I want to make zucchini fries!! I would love this air fryer because I’m always looking for easier ways to make dishes healthy but quick! Since I have a 1yr old and another kiddo due in December, I will need any help I can get! I’m a chicken tender freak! That would for sure be the first thing I make! Frying scares me so this is perfect for me. I’s make chicken and fries. I want to win one for my mother. We are straight from the south and love our fried foods! I want her to start making healthier options and this is a great start! I would love to win because I’m trying to living a healthy lifestyle while still enjoying delicous fried food! The first thing I want to make is sweet potato fries! Making healthy dinners for our family! Hope I can win for the holy trinity – crispy, healthy and easy meals! 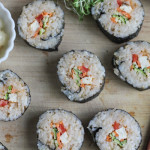 So many ideas on what to make – wings, spring rolls, fries, donkatsu and the list is growing already! I have been wanting to try the air fryer. Both because it is healthier than deep frying and it gets a lot of things crisper than roasting in the oven. I really want to make fried pickles in it! The airfryer is such a unique twist on an old/classic cooking method, frying! I can think of a number of things I would like to make in the airfryer but I’d start with shisito peppers. I would like to win the air fryer because I am getting married in 320 days and I am trying to do my best to eat healthier!! But I know my love of fried foods will need to be satisfied and this is an option to try healthier versions of my favorites. Maybe fried picked? I want to win so I can make tons of yummy guilt-free fries and chicken tenders!! Ive been looking at these, but was unsure on if id like it. Im so excited for a chance to win one. I would love this air fryer because it’s a healthier way of eating for me and my family and I would make fried chicken and Mexican foods with it! Hope I can win for the holy trinity – crispy, Heath and easy cooking! 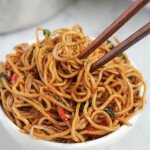 So many ideas on what to make, chicken wings, spring rolls, fries, Tonkatsu and looking forward to recipes on your blog! Hey there! I would love to win because I LOVE the Philip air fryer. The handle on my regular size one broke. I feel healthier when I use it and would love to keep that up! I would fry plantains! I need that fryer so I can make chicken wings using gochujang sauce because I love spicy!!! 비디오 매일매일 잘 보고잇네요. 항상 열심히 하는 모습 보며 부럽기도 하고 또 한편으로는 내자신과 비교하며 반성하기도 하지요. 넘 보기좋아요. So great to see you every day. Cooking, baking and work out. It motivates me to do little more. If I win this, I want to give to my 90old parents. It will be great gift for them and easy to cook themselves. Sounds like a great air fryer Alice! The girls chicken fingers look awesome! My husband is on his way to getting diabetes from his poor eating habits! This would give us a way to cook delicious food without the guilt of eating something unhealthy. Fried chicken because it’s a healthier way to cook without using any oil! I really want to win this because I’ve heard the Philipps airfryer is the best! Definitely making French fries first! I love how feeding your kids well is so important to you! My mom was the same way with us. Air fryers seem like a great way to make favorites lighter. Winning an air fryer would be AMAZING I’d have a chance to fry a lot of my favorite foods without the oil or mess plus it means I get to have fried foods on days that I train without feeling so groggy. Some of my favorite fried foods that I’d make is fried chicken, shrimp balls, and sweet potato fries! I’d love to use this air fryer for my sweet family! We love cooking at home! I love love crispy fried chicken but do not have a good fried chicken place where I am 🙁 so I’ve been eyeing an air fryer to experiment with fried chicken at home. 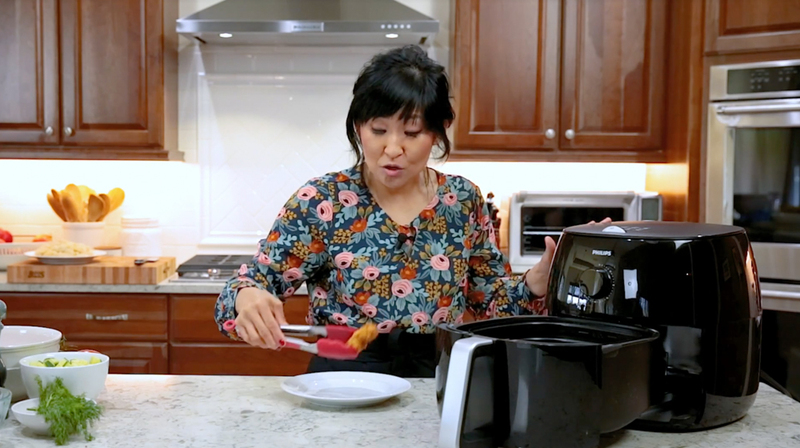 I have been thinking about this airfryer FOREVER! We have a big family and it looks like is very easy and fast to cook on daily basis! Also, my boys love crispy everything! All my potatoes, sweet potatoes, chicken, fish, donkatsu! How exciting! There’s just so many possibilities with the air fryer!! I would love to make some fried chicken in a Philips Air Fryer. Looks so good. Thank you for the giveaway! I love fried pies! But every since I’ve been trying to be leaner, it’s been difficult to get the crunch and texture of a fried pie in the oven. I would love to try making my fried pies in the air fryer, it would probably do a better job than the oven at getting that perfect texture. I want to win one because Its been on my wishlist for a while! It’d make our lives so much easier! Would love to try new recipes with this! Hi! I would love an air fryer because recently I found out that I have polycystic ovary syndrome. Getting an air fryer would help my husband and I to eat healthier It’s so hard because we love french fries and chicken. Hello! I would love to win the air fryer because im always finding new ways to cook for my family, I’m only 19 but I’m always cooking for my sister and parents, it gets to be a lot so having something like this would help cut my time in half! I’m trying to get into prepping my meals so I feel like this will help me cook and be more motivated to prep my foods! 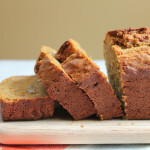 I would love to try the recipe you put on this page that sounds delicious! I would love to win The Philips Airfryer XXL to cook healthier for my family and me. I need something to make for my kids quickly and healthy without the hassle of all that extra fat and oil from normal fryers! Please pick me!! I wanna make all the food in the air fryer! Instant pot and air fryer. What more do you need? As a teacher going on summer break in just two more weeks, it would give me a great start to my summer break! As well as a kick start to a healthier lifestyle while still “indulging” with foods like the fried chicken. I love your blog. In my 50s the weight control issues are more difficult. I love to cook and love fried food. I’m intrigued with this air fryer. Your daughter is lucky to have you to teach her cooking. I think I might need an air fryer! What a great giveaway! I would like to win so I can share new recipes with my family. The first thing I would try is sweet potato fries! Then I’d top them with feta cheese and rosemary. Yum! Would love to make fried chicken! I would loooove the airfrier not only to develop my own healthy recipes, but also to help my patients find ways to be creative (they get weight loss surgery and can no longer eat fried foods!). I really want to try some breaded fish and different veggie fries! I have been eyeing one for so long! I love fried food so much and this would help keep things in check. Yum! Hello!!! Sometimes cooking with hot oils and having toddlers running around might be difficult. In my case almost impossible. I try not to cook fried foods because I’m always scared that the oil might jump and hit one of my babies faces hands etc. I do cook breaded fish and chicken fillets but for sure have to put my little ones in a safe area. Even though for this meals the amount of oil is way less. Is still scary. I wish to win this to be able to cook for my kids yummy food with out panicking every time. They love fried chicken (I always buy it) but it will be nice to finally cook up them legs and thighs at home and enjoy a healthier meal. Thank you for this giveaways and I’m really really crossing my fingers for this one! I want one of these so bad! My mother in law has one and she can whip up dinner lickty split! She’s super adventurous and has tried cooking everything in there. She even makes the jalapeño poppers, which usually take forever and they get extra crispy just like I like them. I’m hoping to try our Whole30 buffalo chicken poppers in there someday. I want to make healthier versions of our favorite meals for my family, like tonkatsu and tempura. I would love to win the air fryer to make healthier foods such as sweet potato fries and bread chicken and fish for my two growing children!! I would love to win this air fryer because ther are so many recipes for fried food that I would love to try but I don’t want eat greasy food! 😭 also I have never won anything so that would be a plus! I want to win so I can make all the delicious recipes you have been posting with the air fryer! I would put everything in there from chicken to potatoes to pickles. Yum! I want to win to get crispy flavor without wasting tons of oil. I’d love to make sweet potato fries and chicken. I’ve heard many great things about air fryers. How healthy and how easy it is to cut the calories. I would love to try making some buttermilk chicken and some steak. The air fryer is amazing! I can’t wait to try it. I’ve had my eye on one of these fryers for a while. It looks fun, convenient and a healthier alternative. I would love to win an air fryer. I don’t cook fried food since I’m terrified of burning myself, and I have a glass cook top so the heat doesn’t regulate the same. This would be perfect for so many yummy meals. I really want to try to make Alice’s chicken in the air fryer, but I know the possibilities are endless. I can make my favorite onion rings, which would make me so so happy. Thank you to Alice and Philips for such a great giveaway! I would love to win this to make eating comfort food healthier! I would love to win because I want healthier options for my family to enjoy without feeling like they are giving up foods. Hello! I love seeing all your great food on instagram. I would like to win this air fryer because I am very passionate about cooking and it is something I really enjoy especially when I get to try new things. Plus using the air fryer is a healthy alternative when wanting to make delicious fried foods. I would love to win to prepare healthier foods. I would like to make spring rolls, taquitos and French fries. I’d love to win this! My mom would always make my sister and I air fried chicken wings when we would come home and visit, and I’d love to be able to do the same for my little family and I, especially when I get homesick. This is such a wonderful & generous giveaway Alice! I would love to win this because I love cooking healthier dinners for my teenage son & husband! This Phillips air fryer looks amazing! The first few things I’d cook are the fried chicken recipe you posted & French fruees & zucchini fries! My son will go crazy for them all! This is a wonderful giveaway! I’d love to try the air fryer as another method of cooking. I’m not a fan of using oil at home to fry foods so this would be an awesome healthy alternative! I’d LOVE TO WIN THIS! I’m not a big fan of frying food because it’s too much oil involved. But my mom LOVES frying. Which I absolutely hate because she needs to watch her cholesterol!! While she can fry chicken and catfish in this air fryer, I can fry some yummy coconut shrimp 😋 and sweet potato fries. Yum! I would love to win this air frier so I can start making healthy version of fried food for my family. Ok well here I go again! I would love to win this beauty simply because it is waaayyyyy safer to fry pretty much anything than using a huge pot full of oil. I don’t fry much (actual fried chicken is fast food bought) because is so hard with my little ones. Would definitely be super nice to have one of these babies in my kitchen. And most important will be super healthy for them! My husband and I love fried foods so much but both of us have gi sensitivities to greasy foods so this could be exactly what we need! I would love to win this so we can eat healthier meals and of course to make some delicious fried chicken!! I think I would be good for me to win this , because of the big family I have and how easy e healthy it is to prepare food for them , we are missionaries going back to Uruguay soon, and it would be nice because I could take it with me , since it is a very expensive thing in that country, I love to cook, and I want to learn more and more, I live to have different options to cook in the kitchen, my family loves fried foods, that would be a much healthier way to give that to them! I appreciate what I have learned with hip fodder mom!!! She is amazing! This is something I really would use ! I would feel very happy to win this and would enjoy it very much, it is one of my dreams to have it! May God bless everyone! I would love to win so that I can make good my 4 and 2 year old love but know that it’s healthier for them than their fast food favorites! We’ve been in a dinner rut and this is just what we need to spice things up! Air frying is the best! I would love to win an air fryer and see what all it can do. I would love to win this. This air fryer has been on my wishlist for a while now. My family loves fried food so this would help us eat healthier! I want to win so I can make lots of air fried sweet potato fries! I’ve been wanting one for so long! I hate turning on the oven in the summer too! 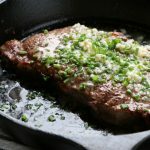 My food blog from nothing ! I would love to win because this wouldn’t heat my kitchen up so much in the summer as using the oven does. Would love to win this as a healthier alternative to frying foods. Win because I’d love to try this – never eaten anything made in one! My son’s homemade chicken nuggets would be perfect in this!! I would love to win the Airfryer because its a healthy way to cook. The first thing I would make would be fried chicken! Ive been wanting to try this so badly! I love the idea of the texture it gives the foods without the unhealthy fryer! I looove your blog! I want to win this airfryer so badly because I can’t eat fried foods and I need a large one to cook enough for my whole family. This one looks like such a nice one and I could make everything in it and get rid of all the things taking up space. Thank you so much for this opportunity. Love to try that chicken! Winning the Phillips Air Fryer XXL would make eliminating excess fat to my diet without loosing the flavor and help me get my meal on the table faster. this is very important to me and my family. Thank you for this opportunity. Air fried chicken all day everyday! Actually, air fried anything all day everyday because it’s yummy and healthy! There is literally nothing I wouldn’t make in my Air Fryer if I won! Aside from this amazing chicken recipe, I’d like to try different types of veggies as I hear the airfryer makes them come out super crispy. My top item would be chicken poppers – my husband’s favorite! Air fryer chicken strips would be top of the list but I’ve also seen air fryer empanadas!!! I’ve been dying to play around with one. Oh my! Good video! I want one because we just moved down to AZ and this would be great for these hot summer months! So cool hope I win! Oh, wow! This is such an exciting giveaway!! I’ve been wanting an air fryer since they came out, but just can’t justify the purchase financially. Some of my favorite foods are buffalo wings and French fries, but we’re trying to get fit and healthy over here, so I haven’t had the GOOD stuff in…too long. Baked just isn’t the same 😒 I’d love to win, but thank you for the opportunity! I would love to win because my partner and J just moved in together and it has been such a rewarding experience to cook together! One thing we haven’t been able to make is my mom’s recipe for Korean fried chicken because it’s very cumbersome to fry food for us. The air fryer would make things so much easier, faster, and more fun!!! Love this healthier way to fry! Omg where to begin! First off, I pretty much drool over everything I see you make, so naturally I’d love to win this bad boy and fry up some chicken! Although, I REALLY want to make natural sweet potato fries, I’m literally obsessed with sweet potatoes and recently have started to roast them like you in the oven with olive oil and salt and pepper. 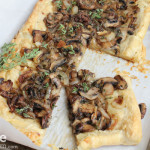 It’d be wonderful to have another way to make guilty pleasures less guilty without sacrificing taste and texture! this is so awesome! I would love to experiment with improving upon some already delicious fried foods! I would love to have an air fryer. Not only are they a healthy way to cook, I have been collecting recipes for an air fryer. I would be very grateful for this new appliance. I want to win because I want a healthier option when I frying! I would definitely do fried chicken, nuggets and strips! Also all kinds of potatoes!!! I would love to win because I’ve been really wanting one of these for over a year. I would make fried chicken wings and french fries in it to begin with. This giveaway is awesome! Thanks! I would LOVE to win because my husband and I just moved our of state, I had to get a completely different job and the hours are pretty long. This seems like a much quicker way to get healthier food on the table. It’s hard to still try and prepare home cooked meals after a long day, by the time you get home and finish cooking, you are eating dinner at 9:00pm and going straight to bed to wake up early for work. This would be such a BIG help in the kitchen! Thanks for the opportunity! Thanks for the opportunity to win, I would love the air fryer for my family. Thank you! I would love to win this because I gained 40 pounds since I’ve been married. My husband LOVES fried food, so this would be a step to a healthier us. I would love to win the air fryer so my husband and I can make our own chicken nuggets for our two girls. Instead of going to McD’s. PLus we would know what’s no the nuggets not the other stuff. 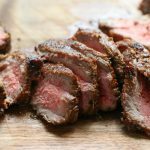 The air fryer would make dinner time a shared experience that my girls would love to be involved. 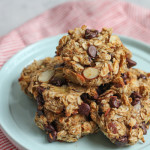 We bake a lot of our kids snack foods because we don’t want to cook them in unhealthy oil. This would save us money on our electric bill. I’ve had an air fryer on my wish list for awhile! I’d love to have the option to make my favorite fried foods in a more healthy way! Fried chicken would be at the top of that list! I want to win because I LOVE French fries but I can never get them crispy enough without deep frying them! I would make all kinds of veggie fries with my air fryer. My love for fried chicken, and French fries have done me no justice in being healthy! I often don’t eat these foods because well, they’re fried. 🙁 but!! I’ve wanted one of these airfryers for a while but haven’t had a chance to try it out! I’m on a path with healthyeating, and your videos and recipes inspire me! If you’re making fried chicken in the air fryer, I want to try it too!! It would be awesome to win this! I would love to win the Philip Airfryer because I’m going on a diet right after the school year is done, and I would love to have a healthier way of cooking fried food. Also it would be quicker to cook meals when I go back to teaching. The first thing I would make in the Airfryer would be fried chicken tenderloins with that great avocado sauce you make. 🤞🏻 on the win! i want to win so i can have a healthier lifestyle plus to make amazing recippes. I’ve been wanting a philips airfryer for what seems to be forevvvver. My fiancé surprised me with one (an off brand) a few months ago but that broke on us after day 1! I’m a sucker for anything fried and with an upcoming wedding, this would really help shave out some major calories! Lol! I would love to win to still enjoy fried food but in a more healthy way! We love chicken nuggets/tenders at my house! I love how crispy the food always looks! Entering this giveaway because winning for my mom! I’d like to make AMAZING CHICKEN WINGZZZ!! French fries and chicken wings!! Looks like a fun, healthy recipie! I would love to win this fryer and make my fav foods! My favorites are jalapeño poppers and chicken wings. Thanks for this delicious recepie, can’t wait to try it! Ever since being diagnosed with Celiac Disease, I’ve had to learn to enjoy cooking for the sake of my health but I really really miss fried food! There’s typically cross-contamination in fried food at restaurants so this would be amazing to have at home!! I would love to win the Phillips Air Dryer XXL! I bought one when they first came out, so I am more than ready for a newer and better replacement. They are so fast and so many things without the extra oil. And I would love to try you Air Fried Chicken recipe. It looks yummy! I would love to make some homemade fish sticks. I’d love to have another tool in my toolbox to make healthy food that actually tastes worth eating. I had no clue what a air fryer is until recently ! I’m hoping to win because there’s so much fried food I want to eat…but it’s so bad for you! With the air fryer, I won’t feel guilty! I think the first thing I would make is fried chicken in it! Then …my, there is endless possibilities!!! I would love to win the air fryer because I do not enjoy dealing with the clean-up of cooking “fried” anything. With the air fryer, I can make one of our kids’ favorites, chicken katsu, with minimal mess. 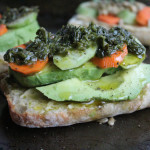 Thank you Hipfoodiemom for all the healthy, yummy recipes! I would LOVE to own an Air Fryer! Having a small child in the home, it would make cooking so much easier. A 2 year old doesn’t always have the patience for me to make her chicken nuggets in the oven. This would cook her favorite food so much faster and healthier! I’m sure my husband would use it to fry everything! Air fried sweet potato fries sound like a dream right now! Delicious taste without the guilt!! I’d love to win the air fryer because I think it would be a great way to change up how I cook! 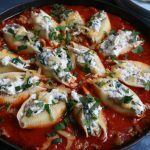 I’m always looking for easy ways add variety into my diet and this healthy alternative looks amazing! Hi! Thanks for this great opportunity you are giving us! I love cooking but I never have the time. This air fry would be perfect for me to use since it’s easy and my sons love fried food! 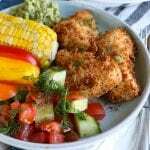 I want to try to make my sons favorite chicken nuggets and avocado fries ! I would LOVE to win because I love to cook and learn new ways to prepare dishes, an air fryer an uncharted territory for me that I’m very interested in exploring. I would love to win this! Our family loves fried foods but really need to be healthier about it. My friend has one and I tried fries made from it and it was so tasty! I just can’t afford it though so it would be amazing to win one if I’m lucky enough! Thanks for the opportunity! The dish I’d make would be tonkatsu. It’s a favorite in our house! Looks great. I want to try your chicken recipe here. I would love love love to win an air fryer because I’ve been eyeing it for months ….I would love to make healthier fried food without all the grease ! Fun to see different ways the airfryer is used. I’m realizing I need one of these in my life! I want to win this Phillips Philips Airfryer XXL so I can cook healthier meals for my family! I would love to make fried chicken and sweet potatoes fries most of all! Would love to win this for my faughter who’s been wanting an airfryer for years. I think the first food she’ll make are Chicken brests and french fries. I love this product , Oil free AIRFRYER PHILIPS XXL GIVEAWAY! Thanks for sharing this air fried chicken .and this product also. I would love to take more grease out of our foods! The first thing I would fix is fried green tomatoes for my husband, then I would help teach my Mom and granddaughter how to prepare healthy meals with my Philips airfryer!!! Thank you! I will love to win this one because I am a very busy mom😄 I am a mother of four, who love to eat and think all the food I am serving them are the BEST… and this one will help me more serving them delucious healthy and crunchy foods😍👍. Thank you!